Some large, some small, all original. 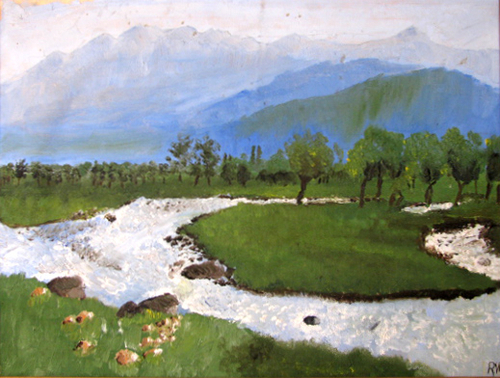 The one that started it all, my first painting when I was in sixth grade. My aunt told me to find a picture I wanted to paint, and sat me down with her oil box and a blank canvas.